I’m one of those mums who loves the idea of capturing memories in scrapbook-quality baby books but the reality is that number three is nearly six months old and not one of my boys even has a baby book yet. I can only imagine the confusion that will ensue when I finally get around to it! Sticky Bellies is magic for mums like me. You simply choose your favourite design and in a couple of clicks, a set of milestone stickers will be sent to you to help you photograph special moments with style and ease. There’s all the usual month-by-month stickers that you’d expect, but what we really love are the quirky stickers that allow you to capture those one-off special milestones and moments. 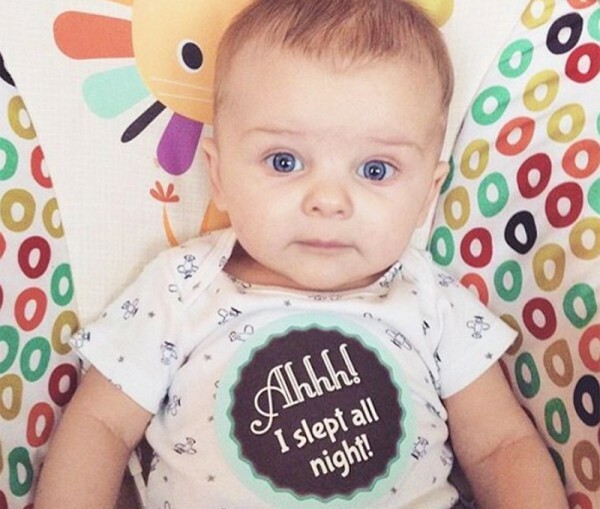 Like “I slept all night” and stickers for siblings. 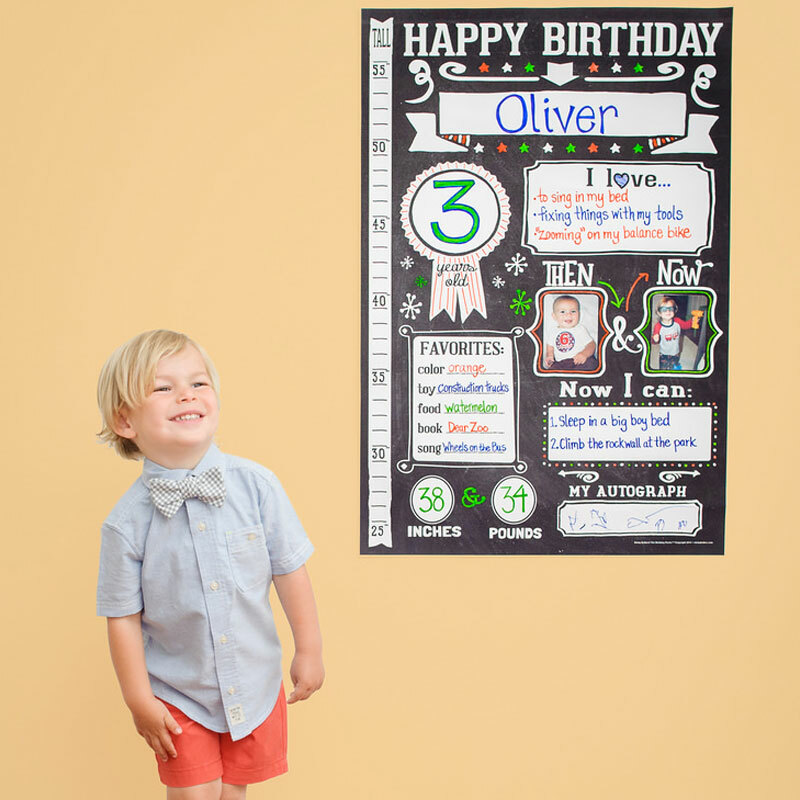 I’m lusting over the Sticky Bellies Birthday Poster ($34) because I can’t tell you how many times I’ve tried to create this kind of poster in real life before giving up – chalk is a seriously hard medium to work with y’all! There is an extensive range of Sticky Bellies stickers available in other designs and age ranges as well as the Big Brother and Little Sister announcement stickers for $13 and the Oh Sew Ready pregnancy stickers for $20. Sticky Bellies is stocked locally by Little Boo-Teek to help save on shipping so click through and explore their selection today.